My mother wants to hire someone to clean house and handle the laundry. To assure herself of this person’s integrity, she plans to leave loose money around as “bait” during the house cleaner’s first few days of work. Here in Brazil, those stray bills can constitute a significant percentage of a house cleaner’s wages. My mother sees this “trap” as a perfectly ethical precaution. Do you? More than determining what constitutes right action is this case (you can find Cohen’s response here), I’m interested in how groups responding to normative ethics questions like the one above, change the way they discuss options and reach a conclusion. A group working towards consensus on the advice they would give the daughter interacts differently than a group working on how to solve, for example, a product quality issue. 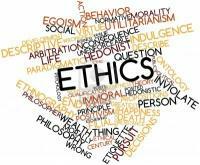 Answering the ethics question draws on personal values and broad perspectives. Answering the manufacturing question depends on analytics and narrowing one’s perspective to eliminate extraneous issues. It occurs to me that the biggest challenges facing modern organizations are: how to innovate, what strategy to pursue, how to leverage technology, how to work globally, have more in common with the ethics question than with the manufacturing question. One important difference between ethics discussions and analytical problem solving has to do with the role of variability. Like ethics questions, complex strategic questions require a high degree of tolerance for ambiguity and variability. Analytical problem solving, on the other hand, starts by defining the nature of the problem and determining root causes; ambiguity and variability are viewed as the enemy of the search for an effective solution. Organizations have invested heavily in teaching and incenting managers to reduce variability through methods such as process reengineering, lean manufacturing, and six sigma work-outs. The emerging interest in innovation and design thinking suggests that these methods have reached a point of diminishing returns. In fact, I’m seeing signs that relentless attention to efficiency not only creates a hostile environment for the type of trial-and-error learning needed to innovate, but also takes a psychological toll on a workforce left feeling largely dehumanized and dispensable. In a 1996 California Management Review article on strategy conversations, Jeane M. Liedtka and John W. Rosenblum wrote, “When we reduce variation, we increase the performance of the system in the short term. In the long term, we deprive the system of the new information that it needs to move forward.” Reducing variability is a natural byproduct of analytical thought processes because analysis, by definition, means examining things by separating them into their constituent parts. Finding new approaches on how work gets done and creating new product and service offerings require us to think holistically, to experiment; in short to invite variability for what it can teach us about our options. Analytics helps us separate the signal from the noise. Design thinking helps us consider the aspects of the noise that may become our new signals. Like learning to use an atrophied muscle, organizational groups working on complex challenges may need to warm up their tolerance of variability and ambiguity. Maybe a few ethics problems might be a good substitute for more traditional teambuilding at the beginning of the strategic planning off-site. An unwillingness to sit with the tension of seemingly incompatible thoughts puts at risk the insight that may emerge from the new frame of reference that makes both thoughts worthy of consideration. The more time you spend working ethics challenges, the more flexible your thinking becomes.